A society magazine for those who want to be in the know. 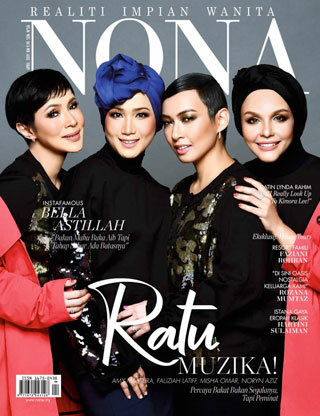 Nona features tasteful coverage of Royalty and celebrities as well the hottest fashion trends and lifestyle enhancements. Get ready to be inspired by the magazine that reveals the ideals of today’s woman. Dah beli pastu magazine Akan Di email Ke macam mane? Pilihan muka depan yang mantap! Saya puashati dengan pembelian e-mag Nona. Tiada sebarang masalah download e-mag ke telefon android saya.